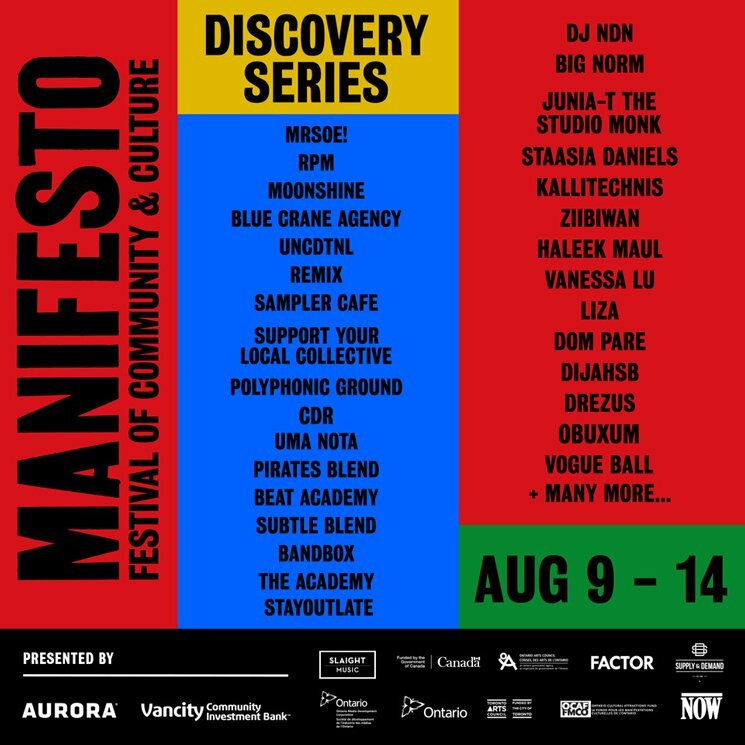 After teasing the addition of the new Discovery Series back in May, organizers behind Toronto’s Manifesto Festival have lifted the curtain on the full lineup for their new arm of programming. Taking place across multiple Toronto venues and DIY spaces, the Discovery Series shines a light on local organizations, record labels, agencies and promoters to celebrate community and culture with multiple genres of music, comedy, visual arts, dance and more. Artists set to be involved include ex-A Tribe Called Red member DJ NDN, LIZA, DijahSB, Drezus, Staasia Daniels, Junia-T, Ziibiwan, Obuxum and many more, on top of a number of surprise guests and acts that have yet to be announced. The fest has also added UK rapper, poet and activist Akala to a free concert lineup on August 17 that already boasts Chronixx and six-piece backing band Zinc Fence Redemption. A full lineup announcement is set to come. Manifesto’s 2018 edition is set to run August 9 to 19, while the fest’s Discovery Series will run August 9 to 14. Further festival information can be found through Manifesto’s official website here. Find a complete Discovery Series itinerary below.